VALRICO, Fla. — The 2018 Bloomingdale Flag Football Tournament starts this afternoon and runs through tomorrow afternoon at Bloomingdale High. 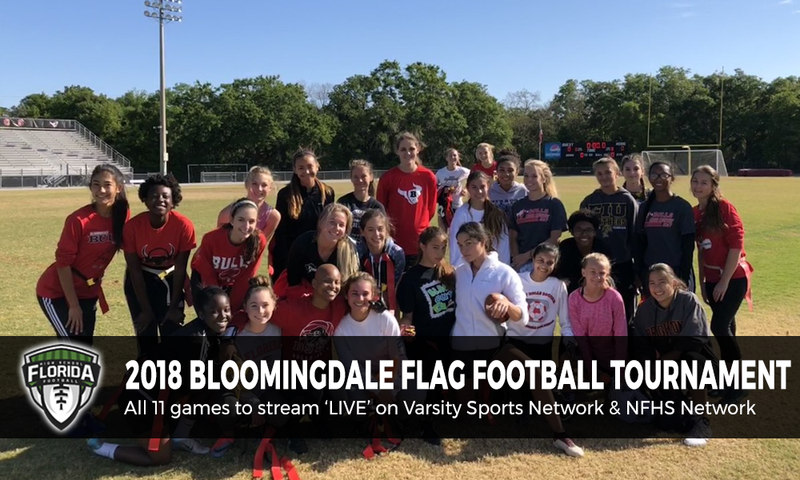 All 11 games of the 2018 Bloomingdale Flag Football Tournament will be streamed LIVE on Varsity Sports Network and NFHSNetwork.com. The NFHS Network Monthly Pass for $9.95 is required to watch any of the 11 games. You can subscribe on any of the game broadcast links below.